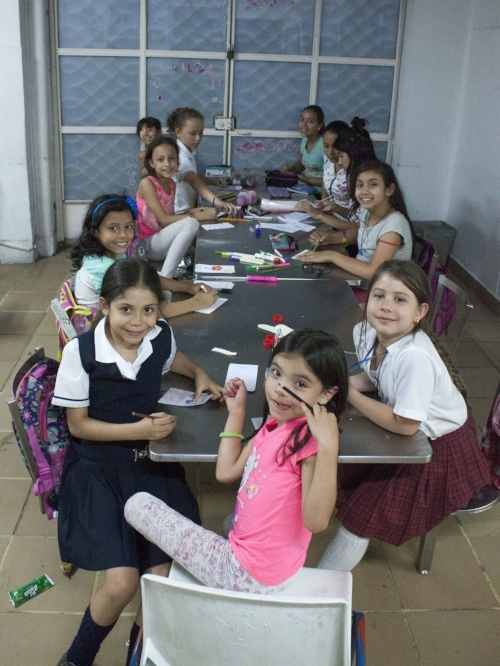 The children of Fundación Angel de la Guarda and La Casita de María were visited on October 31st and November 1st for Halloween and brought loot bags that contained some candies and small toys. 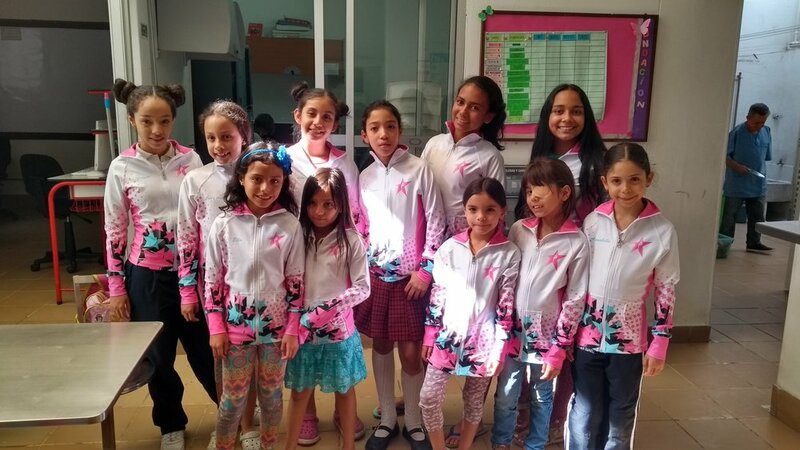 We also went twice to Fundación Ángel de la Guarda, the first time with amazing practice-wear donated by Limelight Teamwear and again with gifts for the girls who create the specially-made care labels for apparel from Limelight. Per custom drawn label, Limelight gives $0.20, and also provides $2.00 from the sale of every Evolution Collection Jacket directly to Soul Dancers. 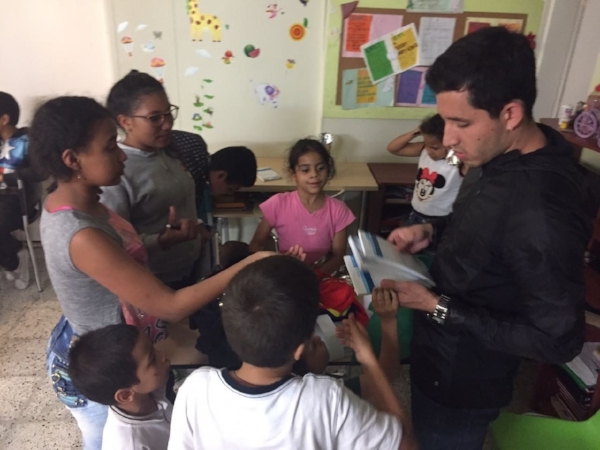 Christmas also came early at Fundación Eudes, where the children were able to pick a toy to be theirs and play with. 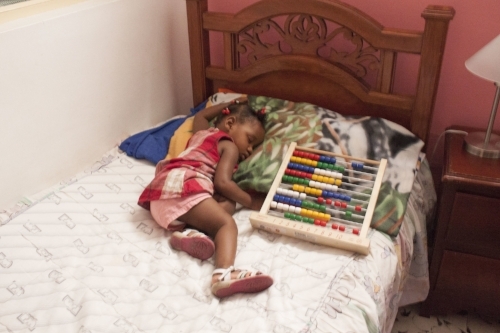 One little girl was napping during our visit, so a toy was left beside her on the bed to make her smile when she woke up. 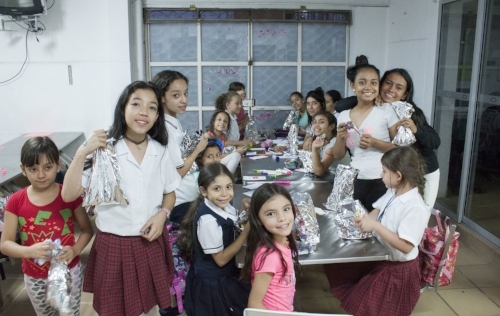 These photos represent just a fraction of all the amazing initiatives Soul Dancers are working on in Colombia. To get involved and join the movement, please contact us!